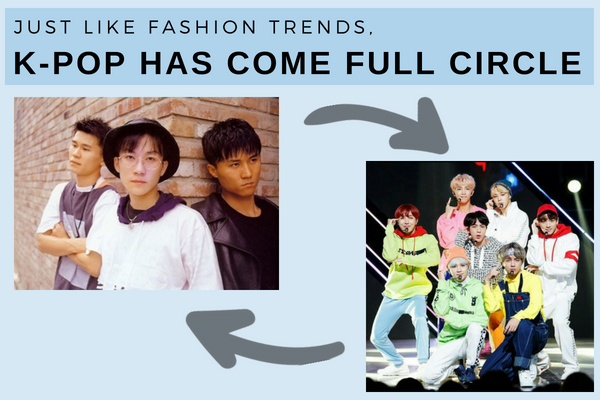 Just like fashion trends, K-pop has come full circle. With the growing popularity of K-pop in both domestic and international music industry, people are finally starting to acknowledge K-pop as a music genre, as well as a cultural phenomenon. While BigHit Entertainment’s seven-headed monster BTS contributed much to spreading greatness of K-pop all over the world, we have to understand that they were able to do so, only because K-pop has come full circle. In fact, if there is one group to whom they should credit their fame, it is Seo Taeji and Boys, as known as the “President of Culture” from the early 1990’s. As some of you already know, K-pop was greatly influenced by the Western pop in the late 1980’s and early 1990’s. While the government had strict regulations on music in Korea for most of the 1900’s, the 1987 reform changed everything. TV stations started to expand their entertainment contents, making American music more available and easily accessible to the public. Furthermore, talent shows on TV became increasingly popular – like present day Inkigayo, Show! Music Core, or Music Bank. Then comes a South Korean trio “Seo Taeiji and Boys” in 1992, wearing Western Hip Hop attire with rap style like Americans, but conveying message strictly in Korean. Because the material they brought to the stage was so new, the audiences loved them. Afterwards, their debut song “I Know” topped major charts in the country for several weeks, officially marking the beginning of “K-pop” we know now. The trio used the power of their lyrics to challenge the status quo, especially regarding social and political issues. They expressed the problems as a part of the youth community in South Korea, often blaming the government for the troubles. In response, the government tried to censor their lyrics, which failed because of the pushback from the fans. 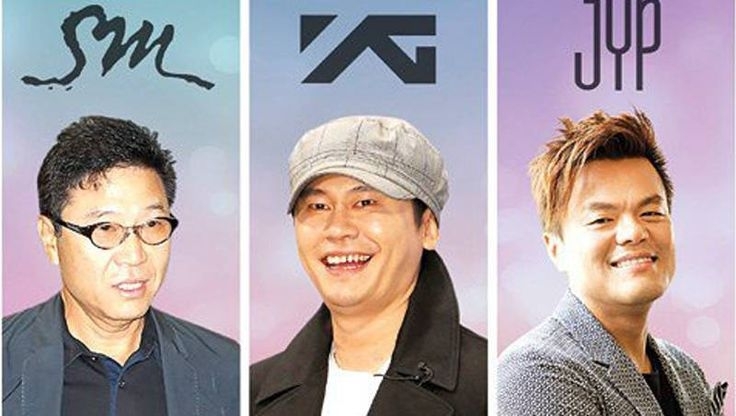 Afterwards, three major entertainment companies arose, which stay prominent until now: SM, YG, and JYP. The rest is what you would know as a fan of K-pop. SM first stepped in and created 1st generation idols, such as H.O.T and S.E.S, followed by BOA in 2000. Then comes the rise of TVXQ, BIGBANG, Girls’ Generation, Wonder Girls, SHINee, and 2NE1 in the 2000’s. While “K-Pop” in the 1990’s mainly focused on the music, often borrowing the style from the Western pop and substituting the lyrics to fit the culture of Korea, the definition of “K-Pop” in the 2000’s has definitely changed. Starting with the second generation of K-pop idols, the genre started to put more emphasis on the image, visual, and performance. Now, they focus on perfecting a “knife-like” choreography, coming up with catchy melodies, and pouring money into shaping their “idol-like” image. They did so by borrowing outfits from the Western trends, for which fans went wild, trying to copy their “idols” the best as they could. From this, “image” arguably became the most important feature of “K-Pop,” which was now not only a music genre, but also a cultural phenomenon. Afterwards, the government decided to take part in this, even dedicating a whole government department to K-pop. They built schools to train kids to sing, dance, and audition in hopes of becoming an idol. Once they signed a contract with companies, the idols had to hand over the control of their image to the management, including rehearsal schedules, dieting, and restrictions on romantic relationships. This is what they had to pay in order to gain the fame they desired. While image still plays a big role in “K-Pop,” I believe that BTS did otherwise. Just like Seo Taiji and Boys did in the 1990’s, BTS challenged the injustice in the society. They expressed the frustrations of young people and tried to push the boundary limits of Korea’s music industry. Their name “Bangtan Sonyeondan” literally translates to “bulletproof boy scouts,” and has a meaning of “protecting the youth from prejudice and oppression” from the society. Their debut song “No More Dream” talks about how young people’s aspiration and dreams are already set by their parents. Moreover, their school trilogy focused on the problems Korean high school and college students struggle through. If you are a true Army, you would know that BTS was not a big deal when they first debuted. At the time, SM had just debuted their 13-member boy group, EXO, who instantly gained fame. BTS, who debuted under Big Hit, a small company with absolutely no power in the market compared to SM, had not much to compete with. But BTS couldn’t care less. They continued to push forwards with their own unique sound, hoping to have a positive influence on the Korean society. For example, the group remade Seo Taiji’s song “Come Back Home” from 1995, substituting the original lyrics to their own, to talk about the frustrations of today’s youth. In my opinion, the lyrics of BTS songs take partial credit for their success. The lyrics allowed fans to find deeper meaning in their music. They allowed the fans to feel like their opinions were understood, heard, and expressed. The group made sure the fans felt connected to them on a common ground, just like Seo Taiji and Boys did in the 1990’s. Besides BTS, many idol groups are secretly slipping in social commentary into their songs. While they don’t do it as bluntly as BTS, it is still happening. The girl groups are throwing out their cute and innocent origins to embrace more rebellious attire. The boy groups replacing their sweet words with socially aware lyrics. Just like past fashion trends are making comebacks, so is K-pop.